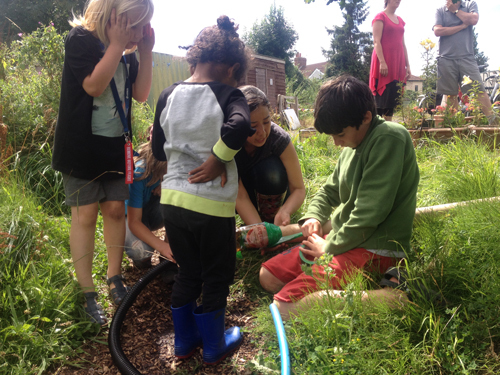 This August the Golden Hill Community Garden are running more days for families with a child or children with SEND and their siblings. Funded by the Lottery Awards, for All our Family Adventure Days are a great chance for you and your children to come and enjoy the garden! There will be parachute games and music, sensory play and silly games, tree climbing, pond dipping, digging, snack toasting, building and being all together. There is always something for everyone to enjoy on these special days - 16th and 30th August, from 11am - 3pm. Just £5 per child covers all the activities and a delicious lunch that the children will help harvest from the garden and cook, including pizzas from the giant clay frog oven. The garden is wheelchair accessible including the toilet. No one will be turned away due to lack of funds. For more information or to book your spots, get in touch with Lucy at ghcgarden@gmail.com or on 07506 905 394. Photograph courtesy of Paul Bullivant.